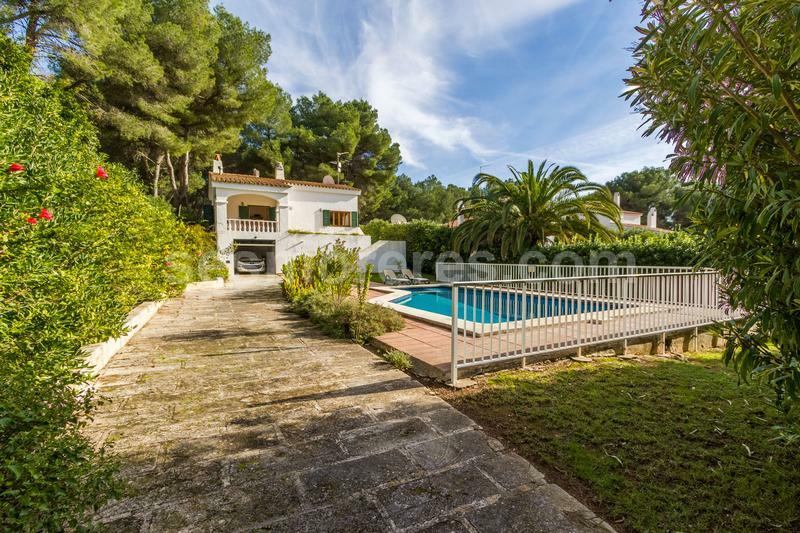 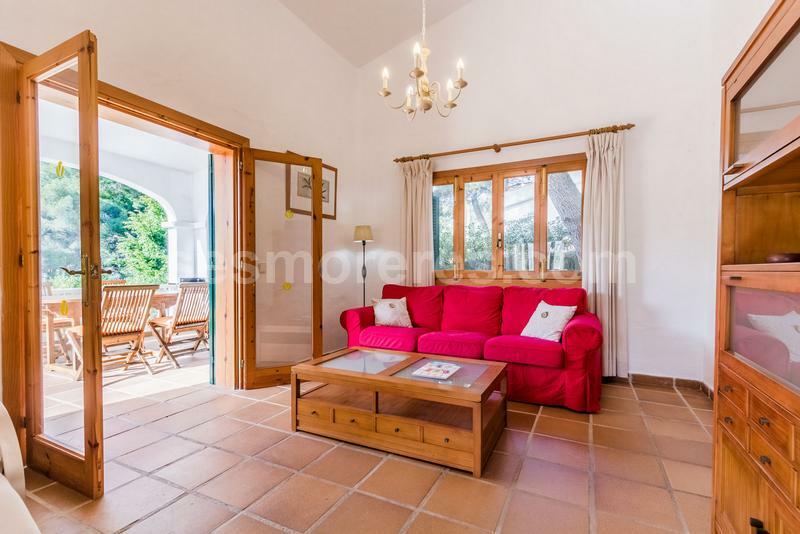 In the popular resort of Son Parc with a large beach of golden sand and beside the only golf course of Minorca, this villa lies surrounded by trees in a peaceful location along a cul de sac. 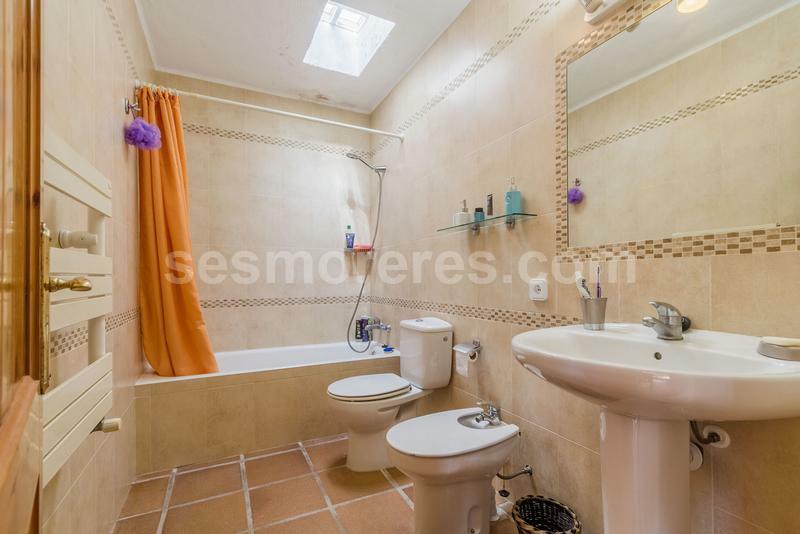 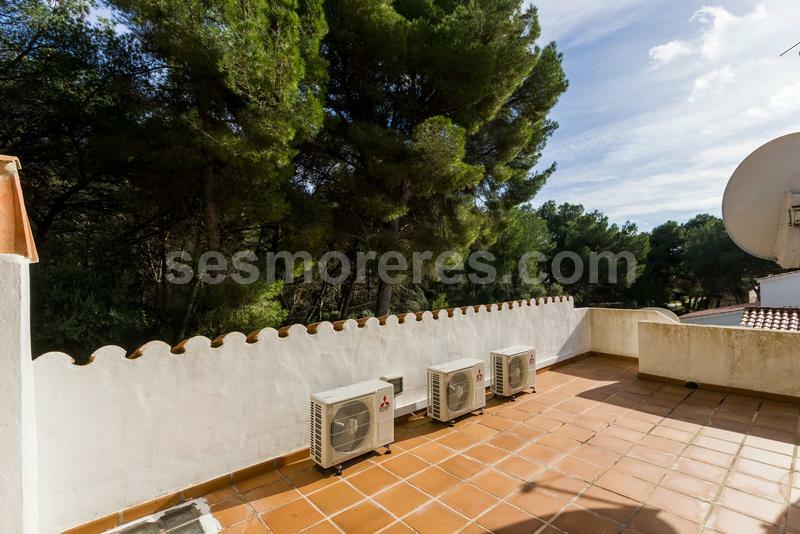 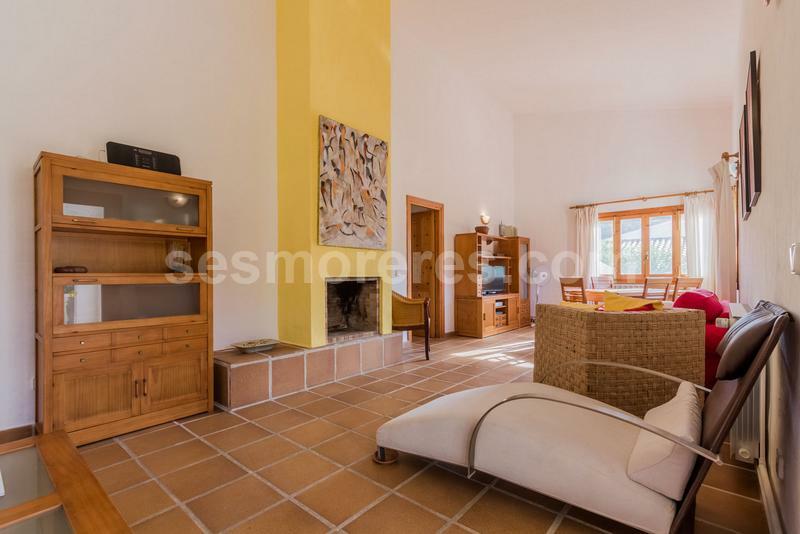 The property would be ideal for an investment in a rental villa and has a tourist licence in place, but it could also provide a comfortable home since there is central heating and a fireplace in the lounge. 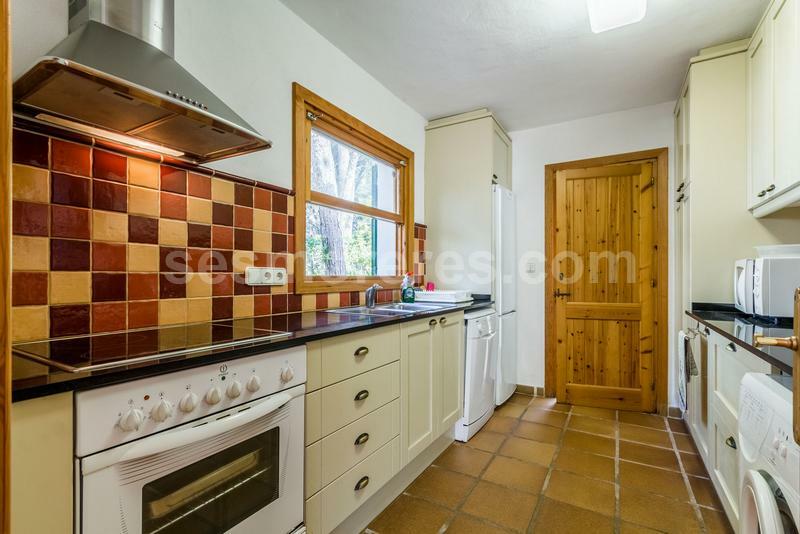 There are three double bedrooms and two bathrooms, kitchen, laundry area and outside covered terraces which are all on one floor. 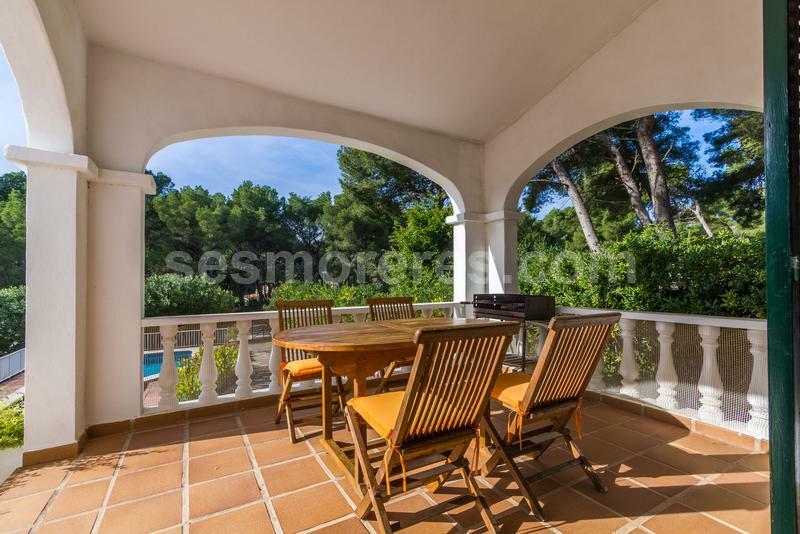 There is also a roof terrace and it is surrounded by a mature garden of 811 sq m with pool and terraces. 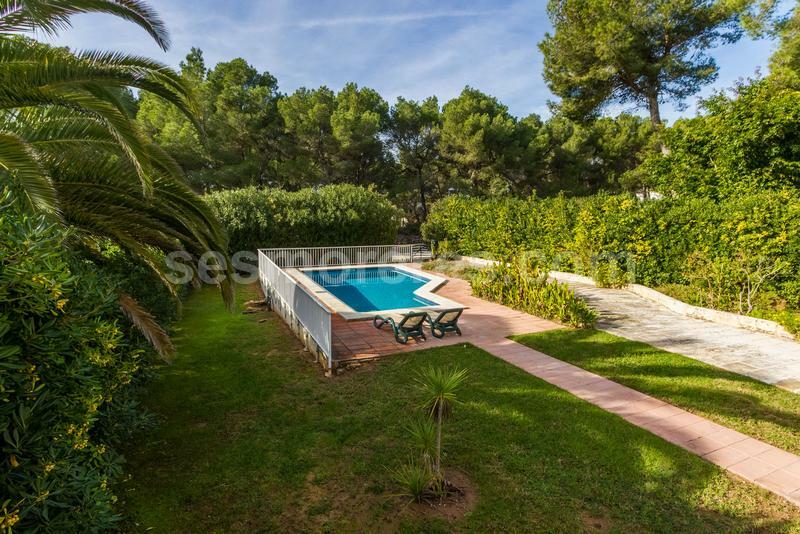 Built surface 174 m², 811 m² plot, 3 bedrooms (3 double), 2 bathrooms, kitchen, dining room, terrace, garden, garage, heating, furnished, construction year, fire place, air conditioning, swimming pool, State certification: .